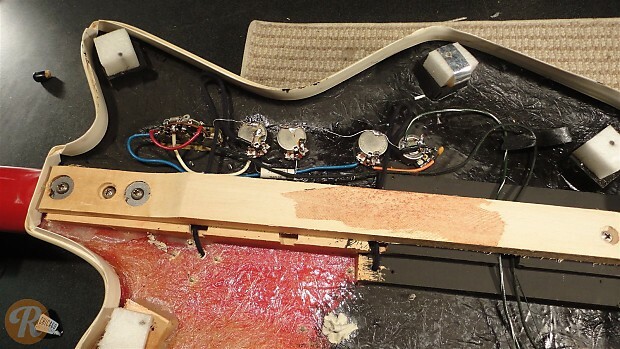 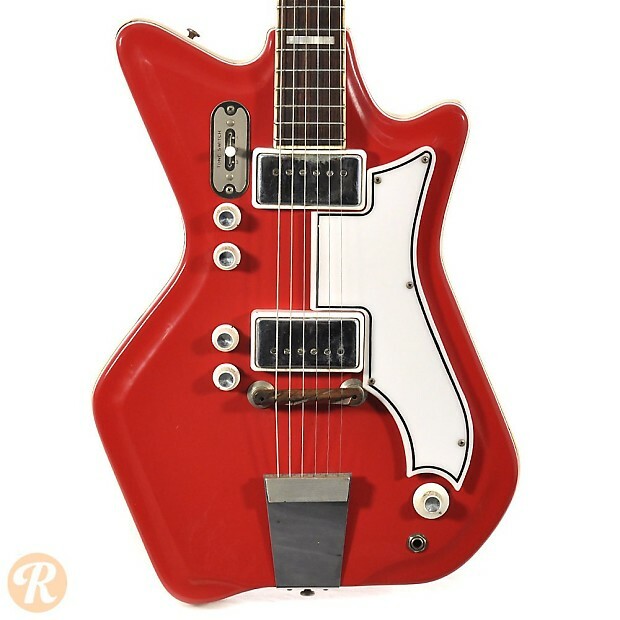 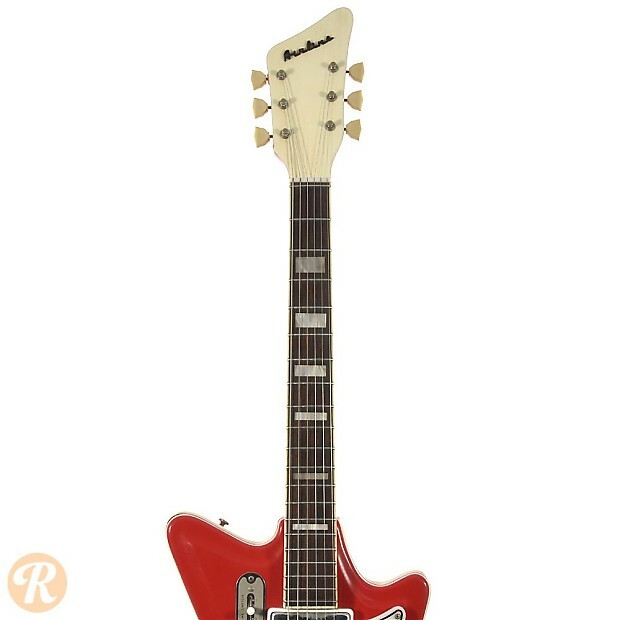 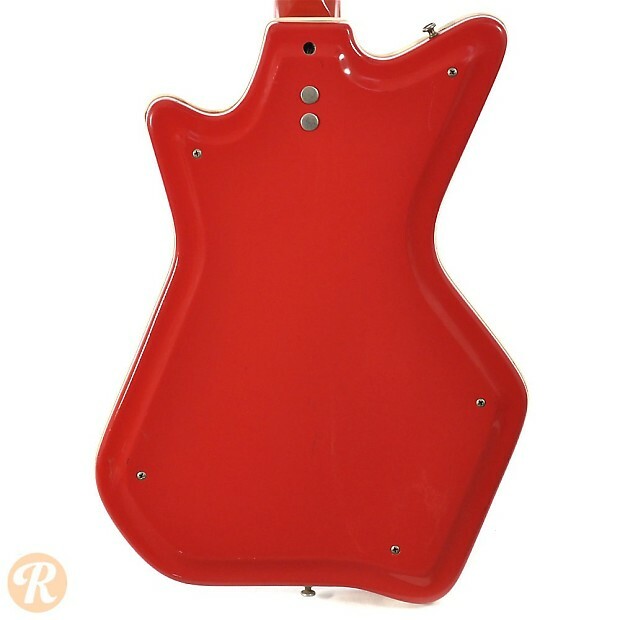 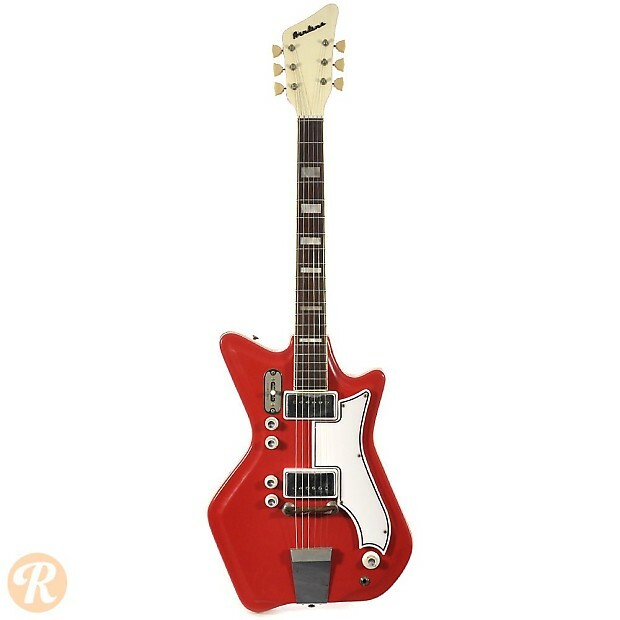 Sometimes referred to as the "J.B. Hutto" model, this Airline guitar ranks as the most sought-after Res-o-glass Airline thanks largely to its use by Jack White of the White Stripes. 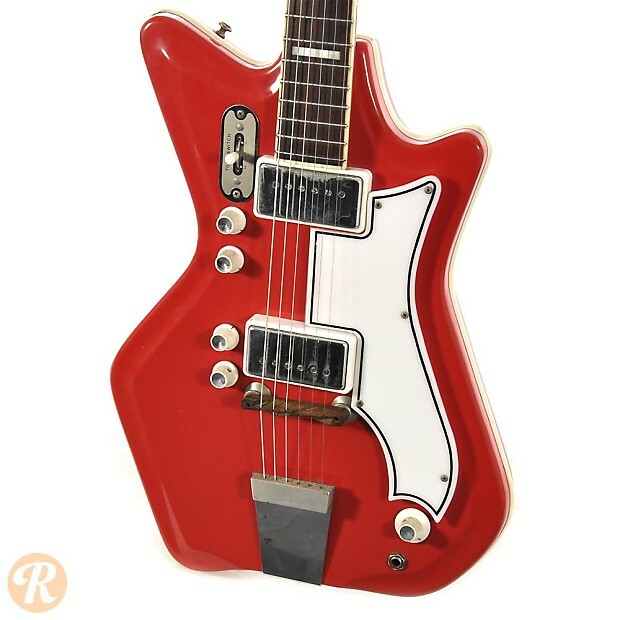 Airline guitars were manufactured by Valco in the '50s and '60s, and many closely resemble other Valco-made guitars from brands including National and Supro. 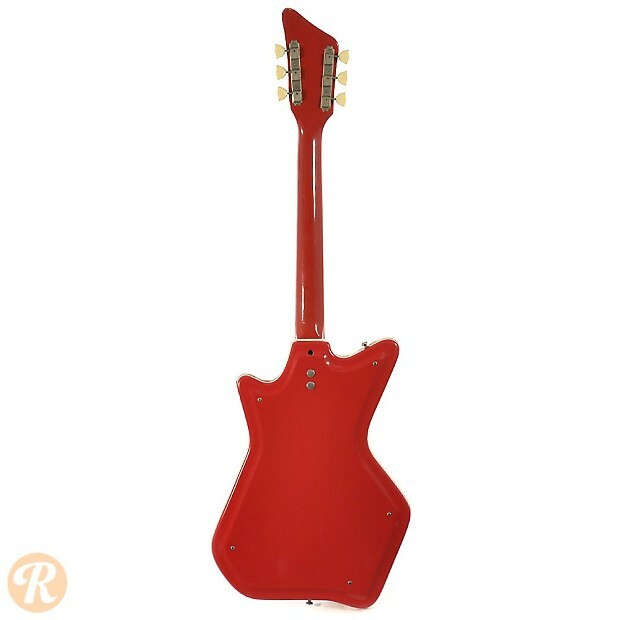 Guitars made of Res-o-glass - a type of fiberglass - like this model are the most collectable Airline guitars. 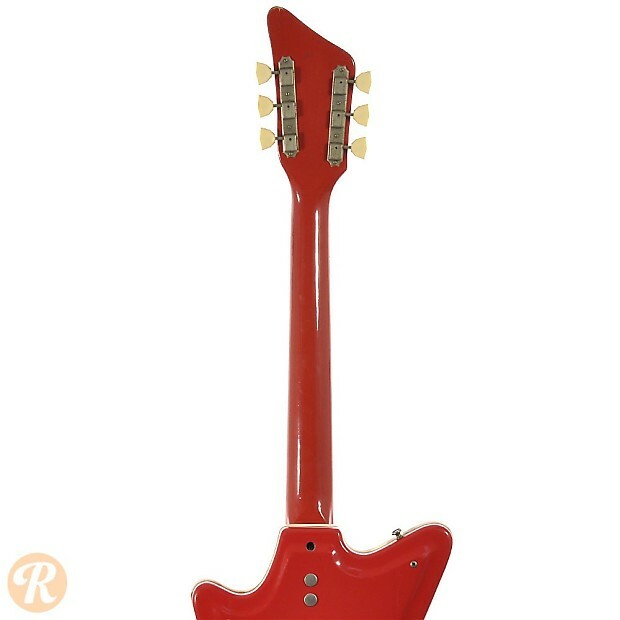 Changes in this year: In 1965, this model changed from three pickups to two and from a Fender-style angled headstock to a slanted-toped headstock with three tuners on each side.